The program is designed to stimulate the Intellectual skills of participants to enable them manage and lead their respective libraries insight, vision and result. 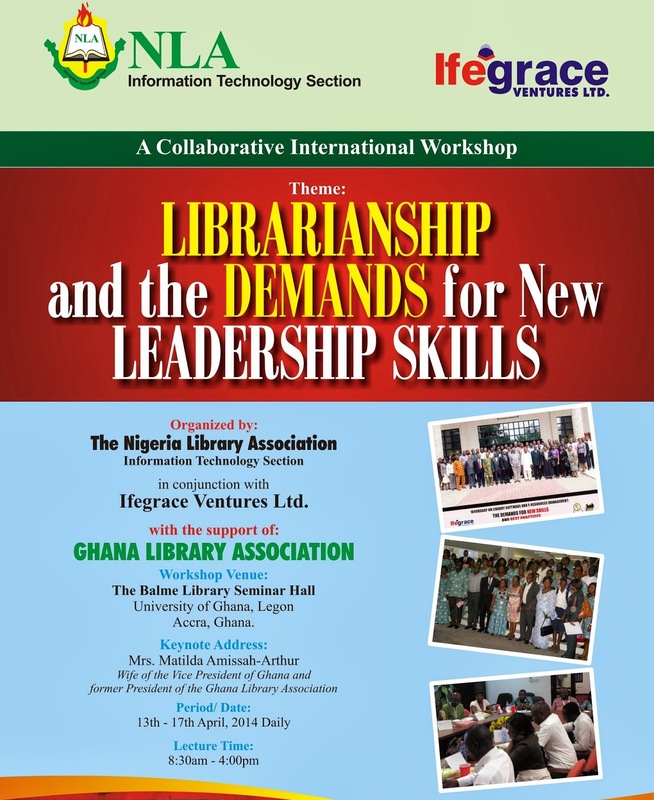 It would also provide interested participants with better understanding of leadership to enable them develop strategies to deploy consideration of the dynamic operational environment of librarianship. This workshop is designed for middle and senior management in libraries and information centers, who want to encourage development and positive change in the field. It will be open to others interested in developing leadership skills. Participants are expected from Nigeria, Ghana, Cameroon, Sierra Leone and Liberia and Gambia and other parts of Africa. Certificates would be awarded to participants who attended all the sessions and fulfilled all the requirements of the course. Fifty thousand Naira (=N=50,000) OR $300:00 (Three hundred US Dollars) per participant. This covers tea break, lunch and course materials and workshop bag. 5% discount for 5 participants and above from one institution1 organization and 3% discount for three participants from same institution.